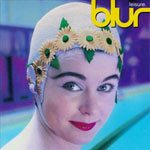 The reductive analysis is that Blur was to Britain what Nirvana was to America. The longer-form is that Blur was the right band at the right time for their country, a quartet who built on the foundations laid by the Who, the Kinks, and the current Madchester dance scene with their own intelligent, wry songwriting and lyrics. The very British approach didn't translate to the States for many years; it wasn't until singer Damon Albarn shouted "Woohoo!" a few times that Americans noticed the band, and even then not for long in a commercial sense. Alternative rock fans, though, were drawn to the guys through hits like "Parklife," "Girls And Boys," "Popscene," "She's So High" and through their impressive run of albums. As the 2000s started, Albarn formed a successful side project (Gorillaz), leading to tension with guitarist Graham Coxon and the eventual parting of ways, although in 2015 the band reformed to release The Magic Whip. This list looks at their eight studio albums, ranked from worst to best. A half-formed, messy effort that is essentially an Albarn solo album. Tensions with Coxon were high due to the former taking charge of the band, likely due to the success of Gorillaz, Coxon's sobriety, and a move away from guitars and toward dance and electronic themes as a base, not an enhancement. Without Coxon on these songs, this sounds a lot like a "final album," where the sound is fine but the magic is gone. Few of these songs ever appear on compilations or live albums. If you're exploring Blur, this is the last disc to get. The Madchester scene produced some great music but didn't last long, and Blur's debut seemed like little more than riding the coattails of a briefly successful scene, the same way Bush and Candlebox were accused of doing with grunge in the States. In retrospect, this is essentially what happened; apart from a couple of good singles, there's little on this album that wasn't said better by other bands or that is necessary in its own right. It's the sound of a band starting out and finding its footing, and it's full of dead ends, even though like many debuts it boasts an energy not unlike a Blur live gig of the day. There are many moments where 13 sounds ahead of its time; burbling electronica, thoughtful ruminations on breakups and life, random bursts of energy and guitar noise. It's an interesting album, but not necessarily a great one, particularly after the career highlight Blur two years prior. The songs suffer from a sonic lack of focus, as if the band isn't sure which direction to take and consequently decided to take three. But there are exciting moments like "Bugman" and "Coffee & TV," as well as the strong closers "Trimm Trabb" and the moving "No Distance Left To Run" that rank as latter-day Blur classics. 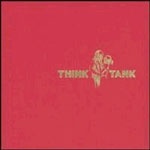 Working in Hong Kong inspired this band's songwriting, the result being a surprise reunion album 13 years after Think Tank and an improvement in their sound. As Albarn's solo albums and side projects in that interim were his alone, it's clear that Blur is functioning as a band again and that they are strongest when Graham Coxon is every bit as involved as Albarn. 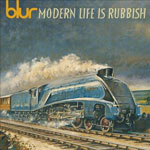 Songs like "Lonesome Street," "Ghost Ship," and "Go Out" take what's great about Blur and update it for a new generation, a global one that is no longer interested in musings on middle-class life in England. Fans of all stripes will find something that calls to them here, but the album never trades in nostalgia, instead recognizing what's great about the past and using it to build the future. The third album of the "life" trilogy is the most sprawling and experimental, hewing closer to Modern Life Is Rubbish in its lyrics and returning to the darker themes of suburban living and middle-class life. This means there's little that's fun or infectious, making this something of an art-pop album and a definite conclusion to this specific approach. But it's not all despair, and that dichotomy of light and dark makes this successful, if not entirely approachable the first couple of times. Leisure was a dead end before it ever got released, and the band knew it; to be fair, they were strongly urged by powerful forces to record songs in the vein of the current Madchester scene. Given the freedom to pursue their own path for their second album, the quartet reinvented itself as wry social commentators, hooky pop-rockers, and proud British flag-carriers, and as a result the album ushered in what would be called the "Britpop" phase. Yet although the sentiments may have originated as Anglocentric, themes of despair, middle-class life, and a need for sardonic intelligence to survive appealed to many. 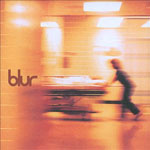 Better yet is the single "Popscene," the best Blur song not on an album (although it was added to the American version), which heralded the arrival of both a new Blur and a new style of music that would come to rule the decade as much as grunge did in America. 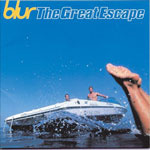 Individual, eclectic, and detailed, this marked the next phase of Blur upon the conclusion of the Britpop scene (Oasis, Blur's manufactured "rivals" during the '90s, would try to carry it on for a while longer). 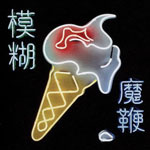 Coxon had become interested in American alternative, not so much the commercial variety but the underground guitar records that had actually started the scene in the 1980s, and so traces of Sonic Youth and Pavement pop up all over this record in addition to the White Album-era Beatles influence. 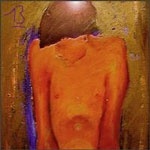 Yet the songs retain a signature Blur individuality, from the timeless romp "Song 2" (woo-hoo!) to "On Your Own" to "Beetlebum" to "Strange News From Another Star." The record is a reinvention, straddling several strata of the rock world and rising above them all, and after the somewhat mannered Great Escape it was good to see them letting loose again, even on a record ostensibly more serious than before. Yet another great record from 1994, this is the flip side to Modern Life Is Rubbish, positing the themes that life can be drab and dreary but also fun and beautiful. It's the positive sentiments, catchy songs, and slice-of-life observations/character studies that make this one successful; this is the record that, as I said earlier, did to England what Nevermind did to America. 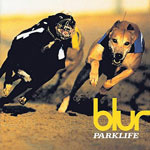 It's irreverent, cheeky, and too long, but the best moments – "Parklife," "Girls And Boys," "Badhead," "End Of A Century," and the character creation "Tracy Jacks" rank among Blur's best songs. And to drive home the patriotism, "London Loves" is cool and knowing while "Magic America" is gaudy and soulless. "Clover Over Dover" and "This Is A Low" end the disc on a high note, which is when you realize this one is something special, even all these years later.